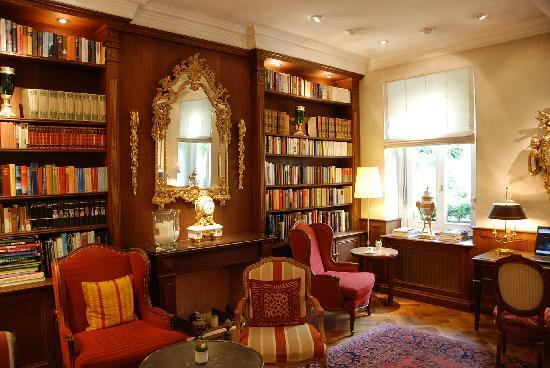 Welcome to the Limitless Library Lounge where I interview fellow authors from Limitless Publishing. 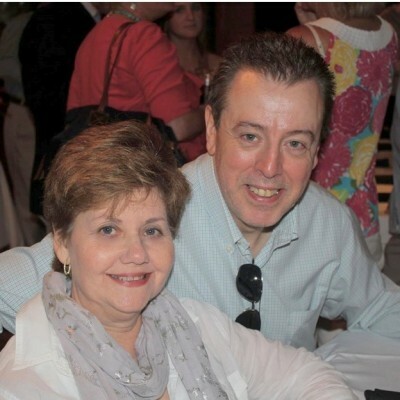 Today, I am chatting with Judy and Pete Ratto, husband and wife writing team known as JP Ratto, from Jupiter, Florida. Thanks for joining me, Judy and Pete. Please take a seat and make yourselves comfortable. I understand you have a novel that is just being released by Limitless today. Can you give me some details about it? We had done all the research for self-publishing our novel, when a friend suggested we submit to Limitless. We were thrilled when they accepted our manuscript. 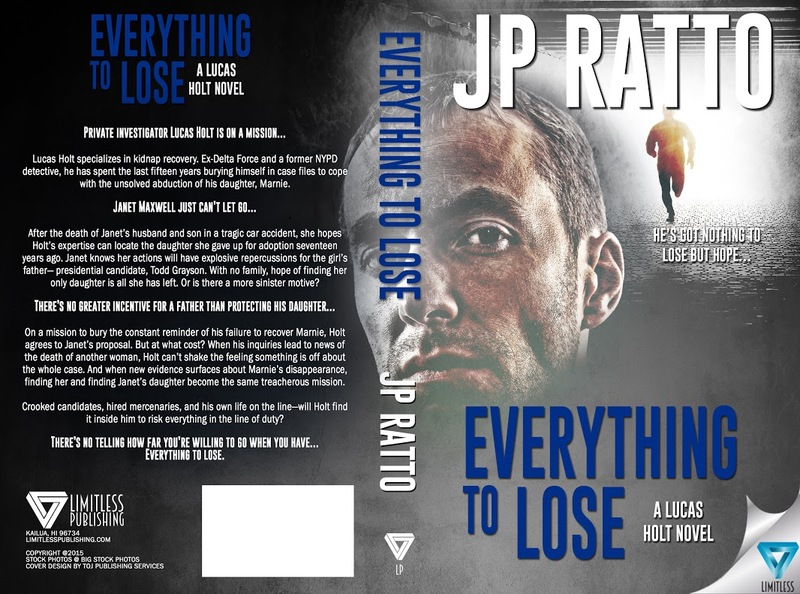 EVERYTHING TO LOSE, a mystery/thriller, is the first in a series of Lucas Holt novels and our first collaborative effort. We have at least three Lucas Holt novels planned. The first, EVERYTHING TO LOSE is being released today, December 29th. Two more in the initial trilogy are tentatively set for release in the Spring and Fall of 2016. How exciting. Would you describe your goals as a writer to us. What do you hope to achieve in the next few years? What are you planning to do to reach these goals? Our immediate goal is to finish the two remaining Lucas Holt novels. We are considering an offshoot series showcasing one of the supporting characters. We love Lucas Holt and depending on the reception he receives from readers, we will continue to create more cases for him to solve. That sounds like a great plan. As a romantic suspense/mystery author myself, I know how involved you can get with your characters. In my sequel to A Stone’s Throw published this past November by Limitless, I am creating lots of new characters that can have their storylines developed if I continue it as a series. 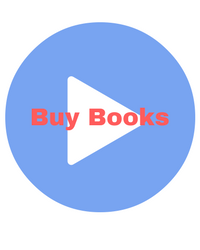 Our targeted reader would be anyone who reads mysteries and thrillers. We’ve intentionally written the book to appeal to both men and women. Hopefully, we’ve balanced description and character development with enough action and intrigue. Excellent. I’m sure it helps that the two of you, a man and woman, are writing it. 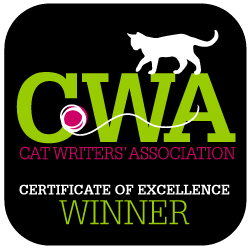 Our advice is to read in the genre you are writing and learn all you can about the craft of writing. Then apply it to your own work. Whether a writer decides to self-publish or take the traditional route, the goal should always be to produce a polished story that will appeal to publishers and readers. As we write full time, our writing takes up most of our days. We both love to read and make time for that. Twice a month we participate in a writer’s critique group attended by wonderful local authors. Judy paints watercolors and sings soprano in our church choir. Pete enjoys reading and photography. We spend time with friends and love a walk along the ocean. The best thing about being an author is when creative ideas flow and the setting and characters come alive to the extent that they practically write the story for you. There isn’t much that we don’t like about being an author—but if we never wrote another synopsis, we wouldn’t miss it! As Pete is a outliner and Judy is a pantser, the toughest challenge is plotting the entire story before writing one word of the manuscript. We compromise with an outline that is very flexible. Lol. I haven’t met an author yet who enjoys writing a synopsis. I can identify with Judy, as I tend toward being a pantster myself, but I’ve also done a bit of planning with my follow up book. I think a flexible outline is the most beneficial for writing. It sounds like you both bring different and yet complimentary styles to your working relationship. 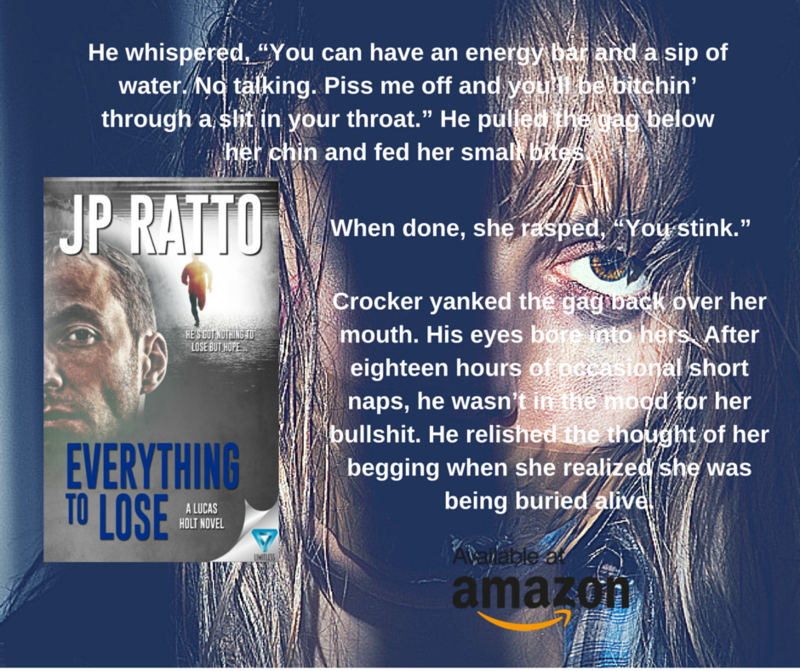 Our bio and the first chapter of EVERYTHING TO LOSE is on our website. Thanks for the interview. It was very nice to talk with you both in the Limitless Library Lounge today, and I wish you the best with your your new book and those that follow. I’m also including your blog tour information that includes a giveaway that might be of interest to my readers. will have explosive repercussions for the girl’s father— presidential candidate, Todd Grayson. become the same treacherous mission. to risk everything in the line of duty? 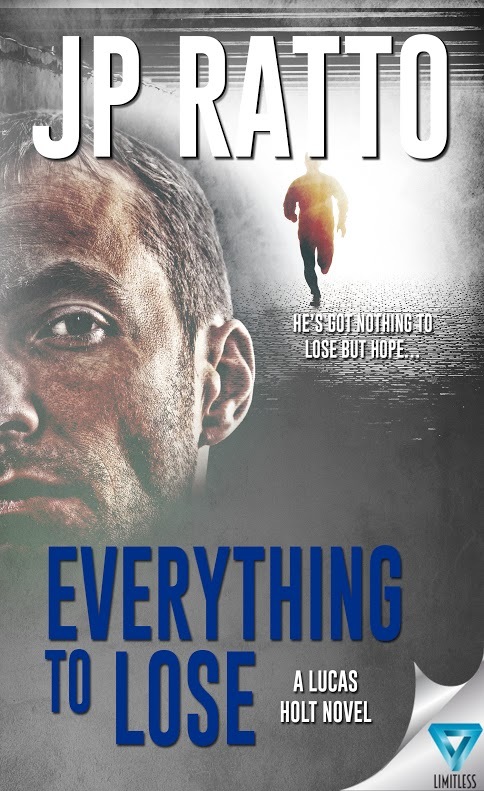 of a three­book series featuring private investigator Lucas Holt. mystery chapter book. Judy also does free­lance editing. Corp, is a retired corporate accountant and is now writing full time. and living in New York. Pete and Judy live in southern Florida with their cat, Gillian. You are very welcome, Judy. I wish you and Pete all the best with your release and future novels. It was my pleasure to feature you on my blog.